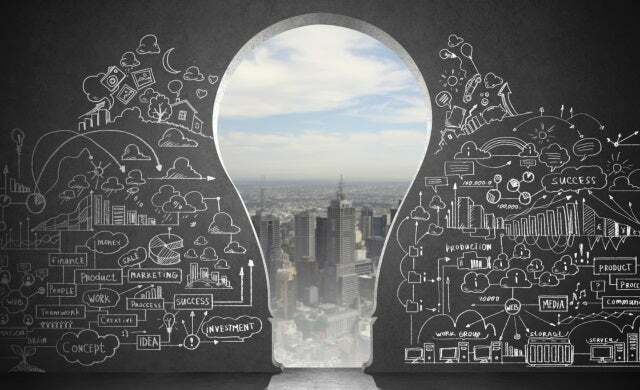 The Technology Strategy Board has this week revealed its delivery plan for 2014 -2015; its strategy to “accelerate economic growth through innovation”, and major announcements include £400m funding, new business centres, and mentoring and advice services. A key initiative from the Technology Strategy Board, over the next year the government agency intends to launch around 88 competitions to support research and development (R&D) and innovation across 12 priority areas, with £400m in funding. It also plans to boost this investment amount with co-founding from its public sector partners, such as research councils, which will then be matched by the private sector. 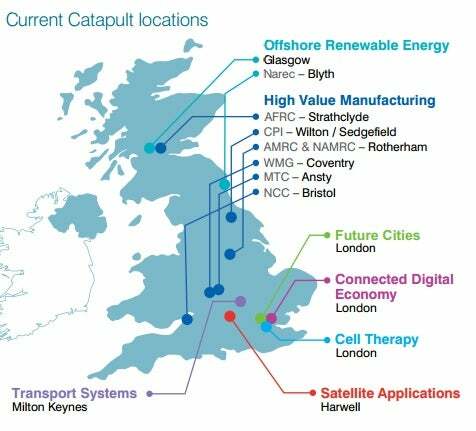 Alongside scaling its existing Catapult Centres across the UK (see image below), the Board will be creating two new Catupult programmes in the areas of precision medicine and energy systems to help drive “the UK innovation eco-system”. Leading entrepreneur Hermann Hauser will be reviewing the existing Catapult schemes in July to September of 2013 to help build its scope. In order to “further support” small and medium enterprises and help them “commercialise their ideas”, the Board will be offering a new programme of support including skills mentoring, coaching and exports advice to help small companies already receipt of funding. Alongside advice, the programme will also look to match up grant-winning companies looking to raise finance with private investors and will also be developing a simple funding application process to encourage entries. The Board is keen to help more UK businesses benefit from Horizon 2020, the European Union (EU) innovation and research $79bn funding programme, and plans to build a “strong in-house team of expert advisers” to help entrepreneurs looking to access European markets. Further development of the Horizon 2020 website is also in the pipeline and will act as a source of UK-centred information on the programme and its opportunities. A multi-country network part-funded by the European Commission, the Enterprise Europe Network helps small businesses access resources for growth and is an area which the Board is keen to develop. Later on this year it will be leading a consortium bid to deliver the Network in England, Wales and Northern Ireland, combined with a bid by Scottish Enteprise for Scotland, to provide a “nationally consistent” set of local networks to help “connect small and medium companies to EU and national innovation support”. In addition to scaling Horizon 2020 and the Enterprise Europe Network, the Board will be setting up an office in Brussels, France, to support businesses looking to access overseas opportunities. 2,000 business leaders have also been invited to InnovateUK, the annual event hosted by the Board and UK Technology & Innovation (UKTI), to help entrepreneurs find new ideas, partners and “inspiration”.